When the video portion was found missing, the State Department claimed the footage of the exact statement under scrutiny went missing because of a "glitch." Yesterday during the State Department daily press briefing, Admiral John Kirby admitted the video was intentionally deleted, but would not say by who or why. "This was a deliberate request. This was not a technical glitch, it was a deliberate request to excise video. And as I said, I said it this morning to the staff, I don't find that was an appropriate step to take," Kirby said. Former White House Press Secretary Dana Perino is far from impressed with the State Department excuses and points out the deletion of material from the press briefing in question in likely a violation of the federal records act. Former State Department spokeswoman Jen Psaki, who is now the White House communications director, claims she had nothing to with the video deletion. they said it was a glitch, which it wasn't. 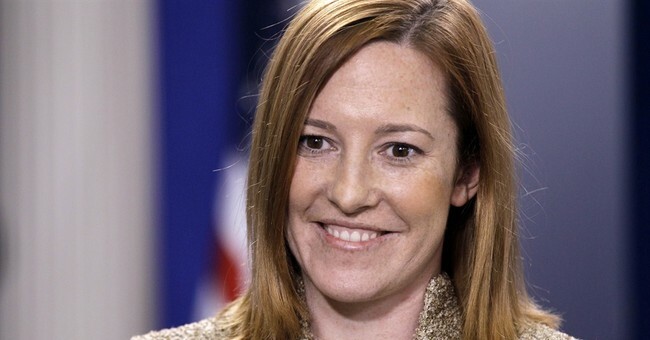 now @Psaki44 says she didn't know her staff edited the transcript. To wrap up, the State Department lied about 1) The Iran Deal 2) Lied about lying about the Iran deal 3) Lied about deleting footage proving they lied about the Iran deal.